This is my take on Spanish Rice. And this is quick and very very easy to make. And all the ingredients here in this recipe are almost always present in my refrigerator and pantry. 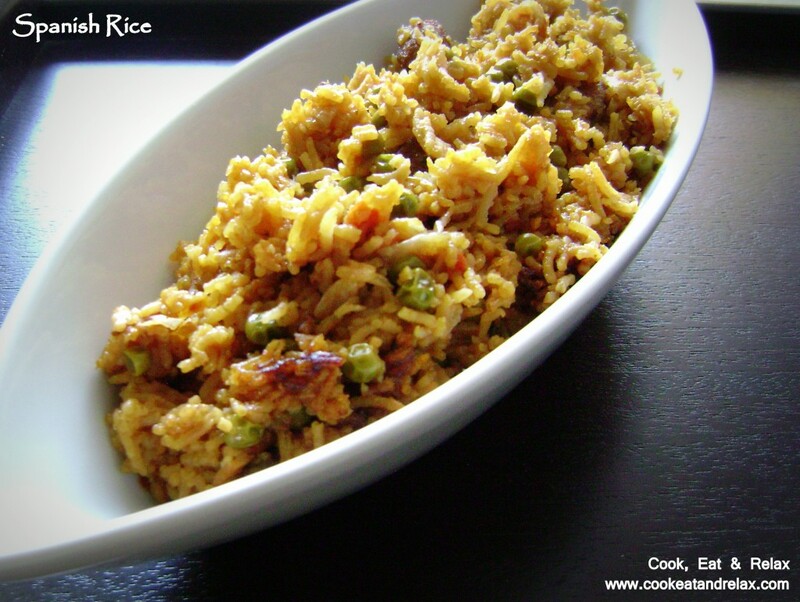 This takes about 20 mins of active cooking time and takes another 15 – 20 mins to cook the rice. This recipes would serve two persons. I was able to stretch it out to three meals as I combined it with some soup, salad, etc. Wash the rice and soak the rice in some water. Saute the sausage pieces in a saucepan. Once the sausage pieces are browned, add the onions to it. Saute the onions and sausages till the onions are pink. Next add the tomatoes to the sausages and saute till the tomatoes are just slightly mushy. Next add the peas to the mixture and saute for a couple of mins. Now add the paprika and salt to the mixture and mix completely, then add the vegetable stock, rice and salt. Now cover and cook till the rice is cooked through. Serve hot with some yogurt or just by itself. As I said this is real easy recipe. I made this in a rice cooker and I used just one pan. So basically, easy to cook and easy to clean up after. It is a one pot dish and takes only 20 mins of your active time. The rest of the time it cooks without needing your attention. Hope you enjoy this recipe and thank you for reading my blog. 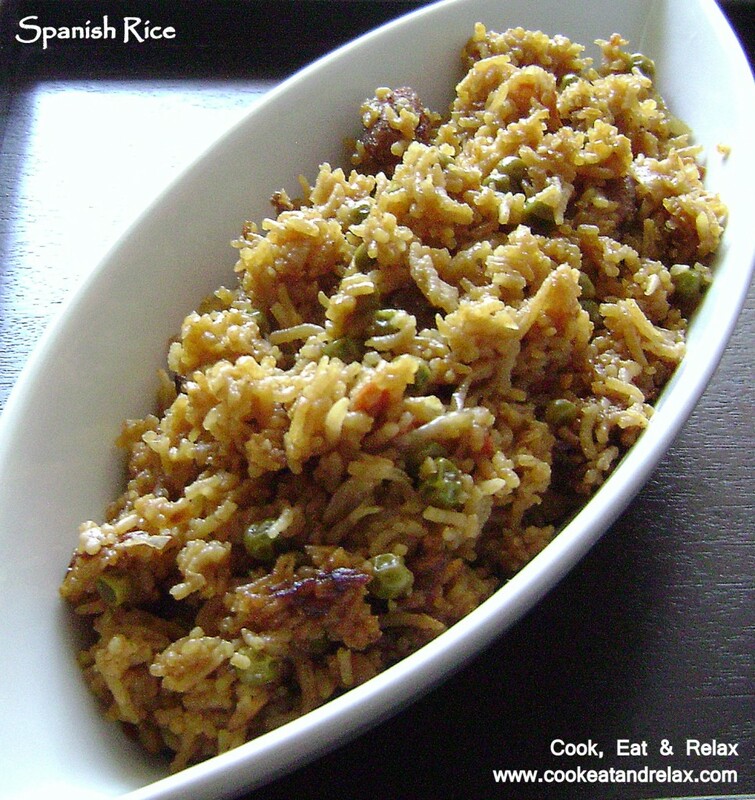 This entry was posted in Main Course, Recipes, Rice and tagged chicken sausage, Peas, rice, spanish. Bookmark the permalink.